Visitation will be Friday, April 12th from 5 to 7 p.m., at Behrens-Wilson Funeral Home. Funeral services will be 1:00 p.m., Saturday, April 13th at the funeral home. Interment will follow at the Buffalo Gap Cemetery with military honors. 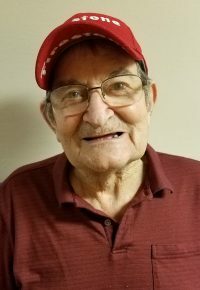 Stanley Burtz Harter, 86, went to be with the Lord on April 7, 2019. Stanley was born on January 5, 1933 to Amos & Irene (Burtz) Harter at Carter, South Dakota. He grew up in the country near Bonesteel and Witten, South Dakota. His family moved to Rapid City in his late teens. He served in the Army in the Korean War where he worked in the Flash & Sound. He met the love of his life and married Lois O’Bryan on December 28, 1955. They celebrated 63 years of marriage. Some of Stanley’s jobs included running heavy equipment to build the Fort Randall Dam and Pactola Dam. He also did painting at Ellsworth Air Force Base. He worked at Firestone Tire and retired after 32 years. Stanley enjoyed fishing, boating, off-roading with his jeep and tinkering in his garage. He loved playing with his grandchildren. He loved going to church and serving Jesus. Stanley is survived by his wife Lois Harter and his children; Marleen Edberg (Duane), Connie Wagner (Dwight), Starla Troutner (Mark), David Harter (Ladda), Janice Harter, Randy Harter (Doreen), 21 grandchildren, 32 great grandchildren, one sister and three brothers. He was preceded in death by son Ronald Dean Harter, his parent’s Amos & Irene Harter, one sister and one baby brother.